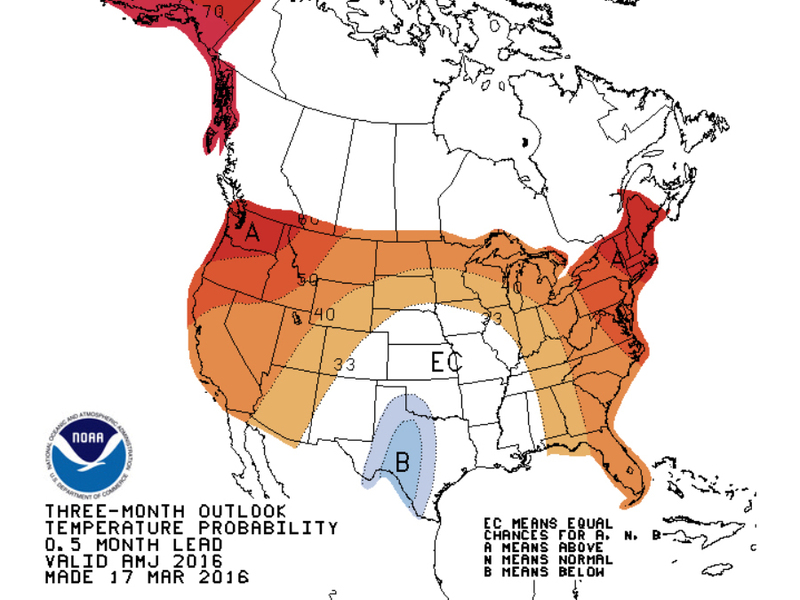 During most winters, the spring outlook is something to look forward to after most of the country is sick of the cold and the snow. 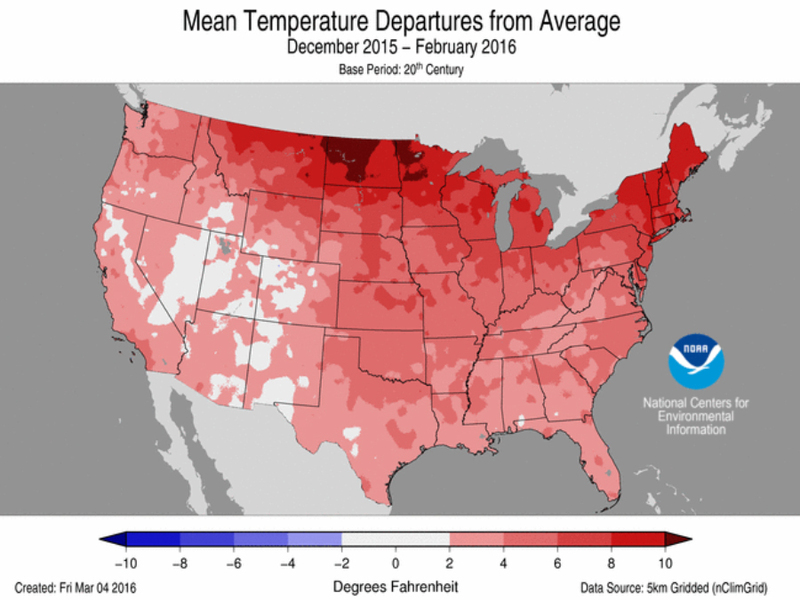 That hasn't been the case this year since this was the warmest winter on record for the contiguous United States. 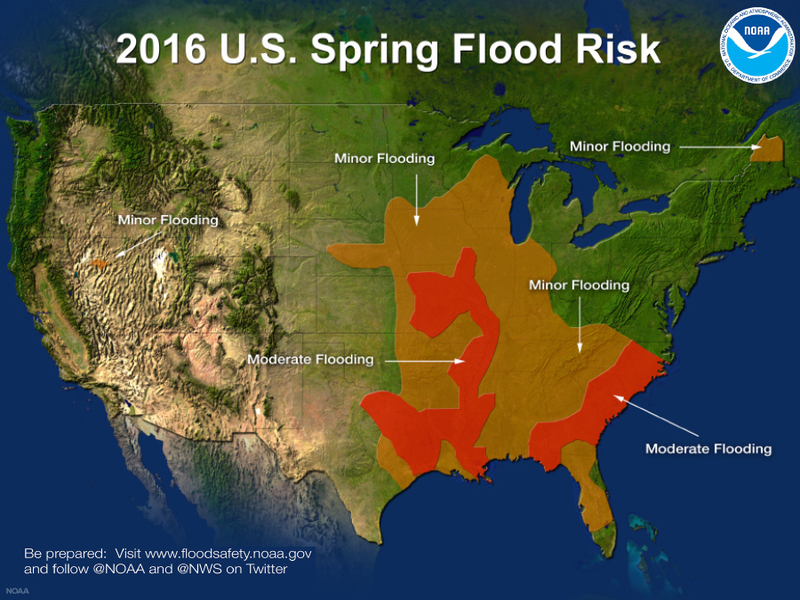 Heading into the spring, we'll be dealing with a weakening El Niño, but parts of the country will still feel its effects. The warmer than usual winter temperatures will likely remain warm for both coasts as well as the Northern Plains and most of the Midwest. The only spot seeing cooler conditions heading into the spring will likely be the western half of Texas. When it comes to rain, it's expected to be wet across the southern half of the United States. 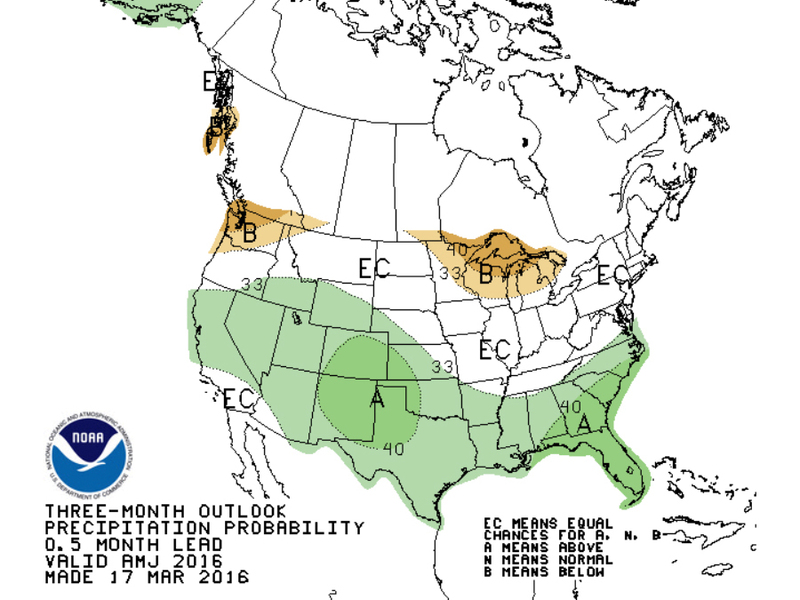 Drier conditions will move into the Upper Midwest and Washington. The increased rainfall across the South will also lead to an increased chance for moderate flooding across the Southeast — something we've already seen across the state of Louisiana. 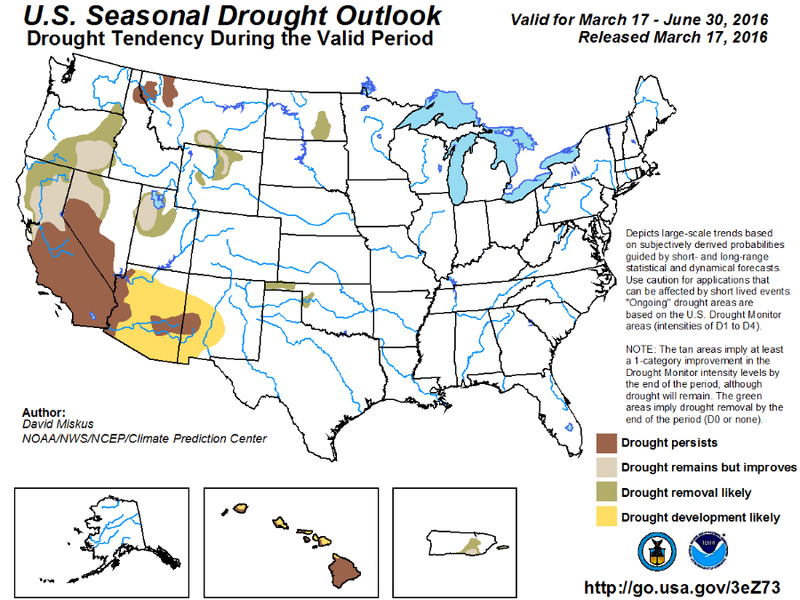 As for the ongoing drought in California, improvement is expected in northern California, but drought conditions in central and southern California are expected to linger. That's not all bad, though. Most of California's reservoirs are located in the northern part of the state, and this winter's heavy precipitation helped to refill them. As for severe thunderstorms, it's already been more active than past years, so it's wise to prepare now. The Storm Shield App will send severe weather alerts for your exact location.